How easy is it to get around National Parks by bus? On the 23 Feb 2016 the Bus Minister Andrew Jones quietly announced there will be a Buses Bill in 2016. At the moment it seems to be aimed at big cities and not rural counties & villages though the proposal talks about new partnerships and franchising for the whole of the UK. The Campaign for National Parks want to ensure that the Bill and any changes introduced as a result provide improved access to, from and around National Parks. How easy is it for you to get to, from and around National Parks by bus? Bus Services – a little bit of good news! The 132 bus (Sundays only) is now diverted to run along the C7 instead of the A26! 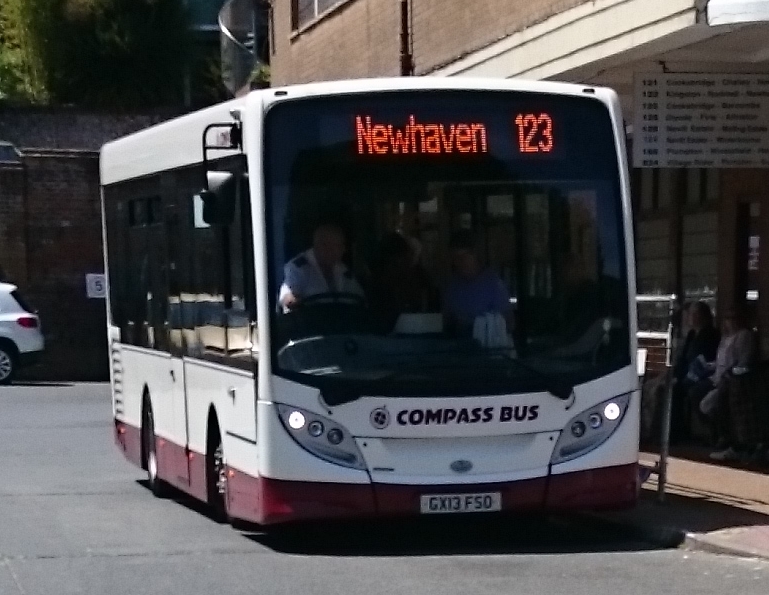 In September we had some disappointing news in that the National Park subsidies for the Compass Bus 123 Sunday service ran out and the service ceased. Now, we have a little bit of good news – the CTLA 132 service has been rescheduled to run up the Ouse valley! It is only one service in each direction but it’s better than nothing! CTLA primarily operates the service for the Lewes Town area but also serves the lower Ouse villages. The service leaves Lower Place, Newhaven in the centre of Newhaven Town at 9:42 AM (arriving Lewes at 10:10 AM). Its return trip leaves Lewes bus station at 14:10 PM (arriving Newhaven at 14:37 PM). The service in both directions stops at Kingston (Kingston School) Rodmell and Piddinghoe (C7 Main Road bus stop). I understand that concessionary fares are available. A story of good news (well a small amount!) and bad news. The bad news is that the 130 bus service, which runs once-a-day from Rodmell to Brighton, will be withdrawn unless subsidies can be found. The good news is that there is to be a small, but useful improvement made to the 123 bus service which runs between Lewes and Newhaven. This month, in August, I met with the Managing Director, Chris Chatfield, and the Transport Manager, Barry King, of Compass Travel. I am pleased to advise you that the services, in both directions which run just after 9 o’clock, will now take concessionary fares. Great news! This new arrangement together with some other minor modifications will come into operation from about 11 September. New timetables will be available shortly. NB: The new printed timetable omits to note that concessionary fares are available after 9am but I have had an assurance from the MD of Compass Travel that this was a printing error and will be corrected. The web version will be amended asap. I was pleased hear that the two hourly bus service is now currently operating on a commercial basis with only very minor aspects of financial support from ESCC. Basically this means we don’t have to fear further government and council cuts to the 123 service. Subject to the agreement of the parishes I have agreed to act as liaison between Compass Travel and the parishes. Hopefully this means we will be able to coordinate ideas and issues amongst ourselves leading to productive meetings with the bus company. However this doesn’t mean that members of the public and parish representatives shouldn’t raise individual problems with the bus company directly. Please continue to do that. ESCC are proposing to end subsidised transport to those age 16+ from low income families to access Further Education or training.This is a cruel and idiotic cut that will have far reaching affects for those children who may now have to drop out of FE and yet saves very little money for ESCC. This will especially hit those who live in rural areas.